Kriti Sanon and Kartik Aaryan look adorable as they feature in FHM India magazine! 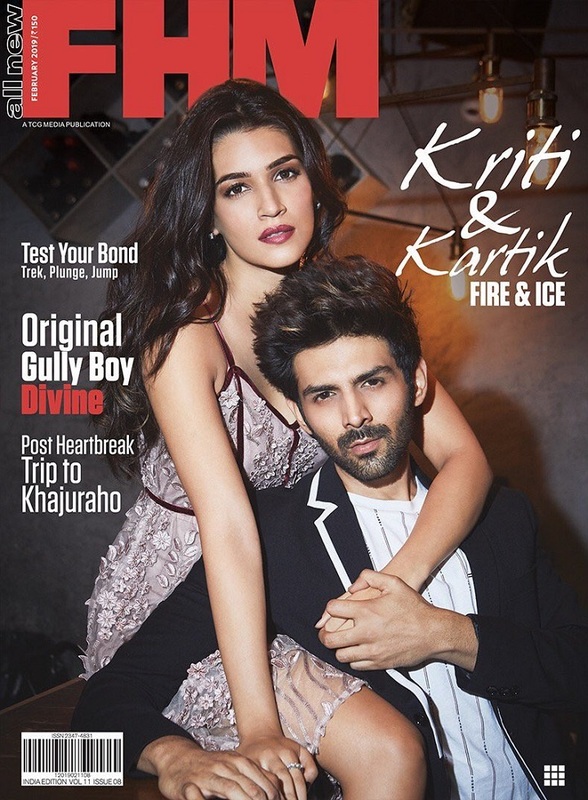 Kriti Sanon and Kartik Aaryan are looking awesome and adorable at the same time in the February cover of the FHM India magazine. @fhmindia Feb issue!! Grab your copies now! Fire & Ice!! Ahem! 🔥❄️ Well who’s fire and who’s ice here @TheAaryanKartik ?😜😉@fhmindia Feb issue!! Grab your copies now! Both Kriti and Kartik will be seen next in ‘Luka Chuppi’, a romantic comedy film. The film is scheduled for a release on 1st March, 2019.